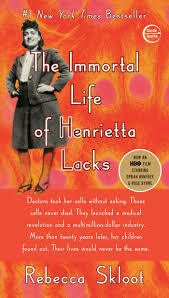 Join in the discussion of The Immortal Life of Henrietta Lacks by Rebecca Skloot. This book tells the story of Henrietta – a poor black tobacco farmer whose cells were taken without her knowledge in 1951 and these cells became known to scientists as HeLa. Book Discussion will take place at 6 p.m. on Wednesday, Nov. 14th at the Library. The movie by the same title will be shown at 7 p.m. on Thursday, Nov. 15th in the children’s library. Both events are free and open to the public.